How Do You Remember 9/11? I remember it was a beautiful day. The morning was warm and the sky was a bright blue color, no clouds in sight. I drove to work along the south shore of Long Island and heard on the traffic report that a plane had hit one of the Twin Towers and I thought, "That doesn't make any sense," and I walked into the building I was working in. Co-workers trickled in, each sharing more news. I remember I was working on a facial toner and I was so distracted that I had to re-weigh the batch six or seven times until I finally stopped working -- and realized something huge was happening to our lives. My supervisor rushed in from an adjacent lab and yelled with her British accent, "We are under attack, people. Another plane hit the other tower." The rest of that day and the days that immediately followed were surreal. We called everyone we loved - and waited impatiently until we had heard everyone in our family was safe. We watched the news, we offered co-workers our extra rooms so they could stay somewhere we thought was safe. We tried to give blood but the lines were so long we were turned away. We went to a nearby church to pray with people we usually don't even go to lunch with. We asked countless questions: Why did this happen? Why would someone do this? Will this happen again? What do we do now? This week, 13 years later - my life is very different but these questions are still here - because now my children are asking. My older son knows there is a special service at school with moments of silence and they will put flags out on their front lawn. Our flag at home will be on display and we will talk about loving our country and supporting those that fight for our rights to vote, to speak our minds, and to share our ideas with others. We reach and help women all over the world, but MomsPumpHere was born in NY so this week's history will always be important to us. 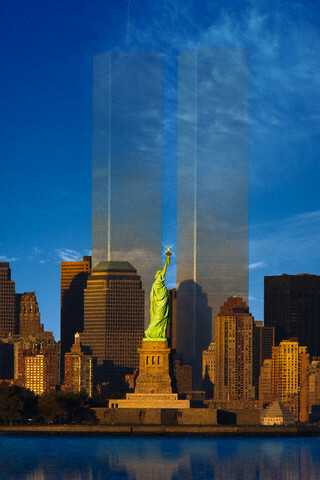 I remember 9/11 as a day that our lives changed and my priorities shifted - how do you remember 9/11? Do You Remember Your First Time...? What's in Your Pump Bag?